AMA District 36 members can be rightfully proud of the 10-year long fight to reopen Clear Creek to both casual dirt-bike trail use and historic off-road motorcycle competition events such as the Quicksilver Enduro and Wild Boar/Wild Piglet Enduros. On January 10, 2019, Congressman Panetta introduced H.R. 403 that highlights the decade long battle to create a bipartisan legislative solution to the closure. 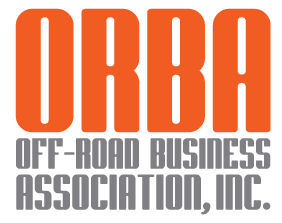 This continues to be a Herculean task that is the result of a dedicated team of OHV advocates and supporters at the local, state, and national level. A special note of thanks goes out to the CA OHV Commission that commissioned an independent risk assessment study which concluded that management and operational strategies could be effectively employed in the area to allow OHV use without exposing the public to unacceptable risks. Thanks also to our national partners at ARRA, MIC, and AMA that continue to champion the reopening of Clear Creek before Congress and the Administration.